What's Up New Haven: Win This Positive+Energy Pack!!! What's up, New Haven!! Happy Friday to all. To show appreciation for your feedback, retweets and such, I put together this Positive+Energy prize pack that will help you through the busy holidays! 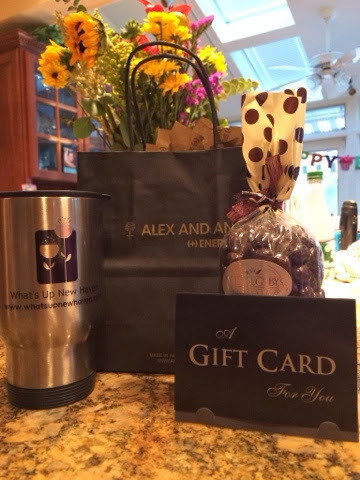 One lucky winner will receive a $25 gift certificate to Willoughby's Coffee, chocolate covered coffee beans, a silver bracelet from Alex and Ani of New Haven, and a stainless steel coffee mug from What's Up New Haven.